It must have been that Laetoli that made me feel all Tiznit just after 45 seconds I had it, just like La Goutte D'Or back in those Ekadasi Days when we spent Midnight At The Twenty Grand watching the Delta. Take a plunge, dive deep, hold your breath, resurface. Nice! 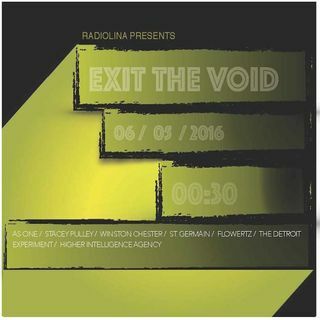 Respectively As One, Stacey Pullen, Winton Chester, St. Germain, Flowertz, The Detroit Experiment, Higher Intelligence Agency ./..